March With Us During The 2017 San Diego Pride Parade! Hi there! It's almost Pride, and I'm looking for people to join the Leather Contingent in this year's parade on Saturday, July 15. 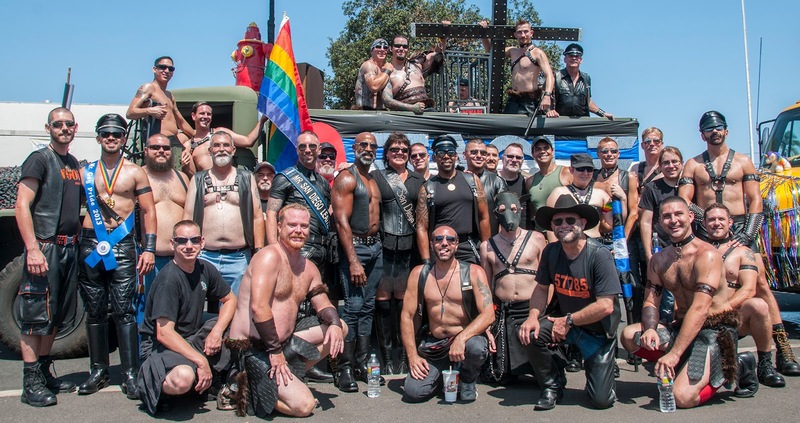 We really need people to help carry the giant Leather Pride flag through the parade route - it stretches the entire width of the street, and we need about 80 people to carry it! The other San Diego titleholders and I would love for you could join us. If you could also help spread the word, please forward to others who could help. I know Pride is always hectic, so any assistance is greatly appreciated. Please let me know if you can help, and THANK YOU! Nobody should feel that they are obligated to wear leather to help carry the flag - the titleholders are out front, so they are obligated to be all flashy and visible! Just dressing comfortably is fine.